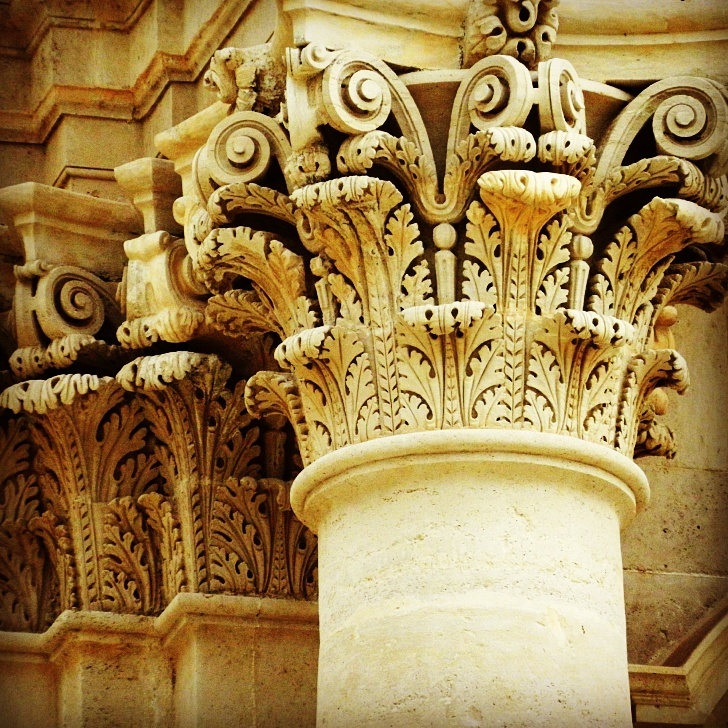 These columns from the Baroque facade of the Duomo on Ortigia are in the Corinthian architectural style for a reason. The city of Siracusa, with Ortigia Island as its jewel, was founded in 734 BC as a colony of Corinth, Greece. Over the subsequent centuries, Siracusa became the most important city of Magna Grecia. Corinthian columns are distinguished by the ornamental leaves that are inspired by the Acanthus mollis plant (known in English as bear’s breeches) that grows throughout the Mediterranean. Just amazed with those stone carvings. Exquisite! Yes, these are truly exquisite! Beautiful! And thank you for the very interesting history lesson!